This is the most comprehensive book on the subject and is what photographers have been waiting for! 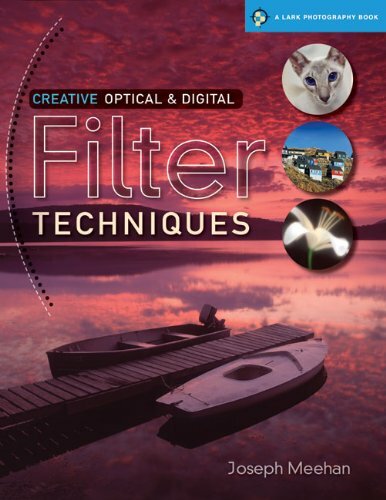 In the most comprehensive book on the subject, renowned author Joe Meehan details the use of both optical and digital filters in creative digital photography. He walks both complete beginner and advanced amateurs through the various ways they can employ neutral density or polarising filters to even out exposures or use soft-spot and diffusion filters to add atmosphere to portraits. There's also in-depth instruction on working with digital in-camera filters such as monochrome and sepia, as well as filters in image processing software (like Photoshop and plug-ins) to sharpen, distort or create brush-stroke effects. Joseph Meehan has been a professional photographer, writer and teacher for more than 35 years. Hundreds of his photographs have appeared in advertisements, books, magazines and on websites all over the world. He has written 25 books on photographic technique, several of which have been translated into multiple languages.